Winter is coming and with that window condensation starts to become an issue in many homes through Ireland. 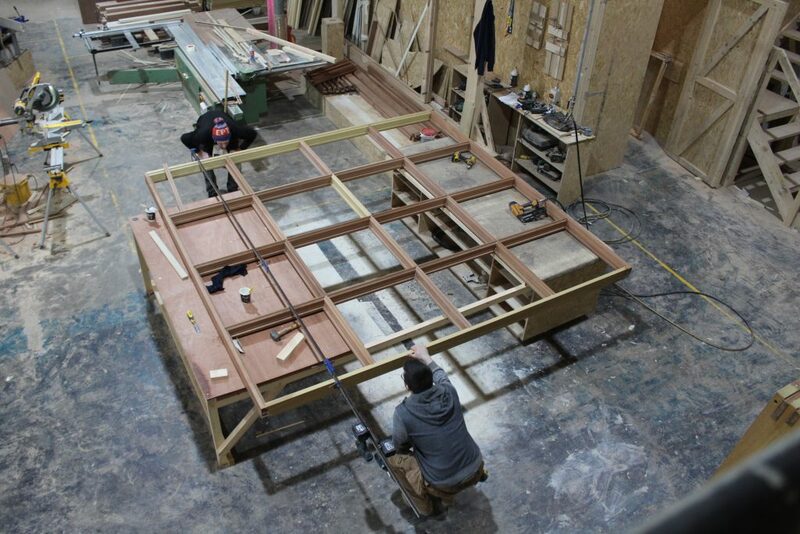 Typically, the condensation is present inside the windows in single glazed original windows. 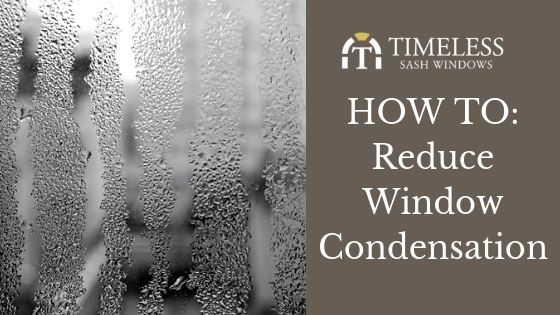 So what causes window condensation? Window condensation happens when the air inside the house that is filled with moisture hits a surface that is colder. Condensation is caused by a conflict when heat hits cold. Glass by its nature and hence windows, tend to be colder when the outside temperature drops. Often when you wake up in the morning there will be condensation on the inside of the bedroom window from breathing and the drop in overnight temperatures. Once the sun comes up and the heating comes on, that condensation will be less obvious and can evaporate. Other contributing factors to high moisture levels inside the house are showering and bathing, cooking and washing up in hot water. 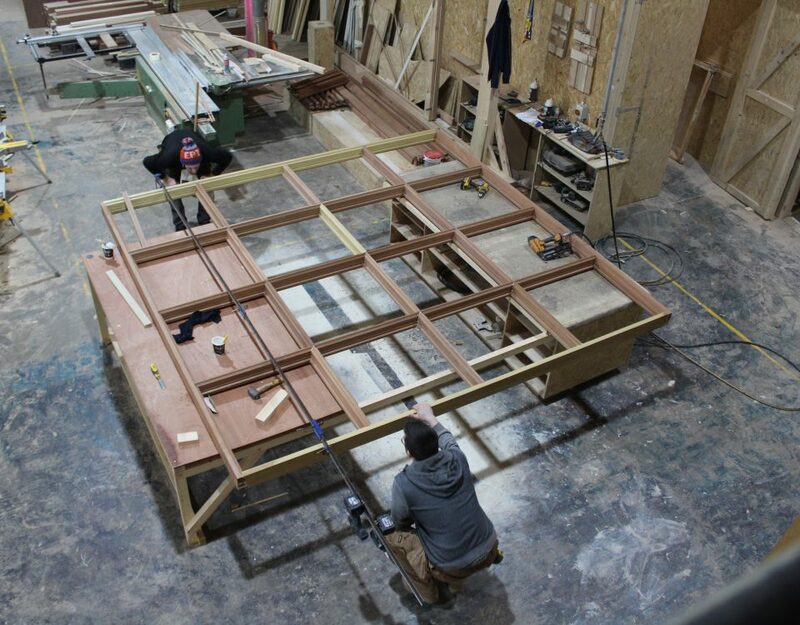 We tend to spend more time indoors nowadays and try to make our homes more energy efficient. This leads to the house being sealed from all draughts. How do you reduce condensation forming on the windows? In a traditional Victorian house that I know well (the house I grew up in! ), on a frosty morning there can be a little pool of water on the sill from the condensation. If this isn’t dried up, it will start to cause rot to the timber itself. It is a problem that needs to be identified and worked on. Dry your clothes outside or in a room with the window open. Use your stove extractor fan while you are cooking or boiling the kettle and leave it running for 10-15 minutes afterwards to remove all moisture. Don’t overstuff your closets. Ensure there is enough room to allow air to circulate. Open windows for a few minutes every day to allow air to circulate. Keep your home heated to an adequate temperature to reduce the coldness of the window glazing. Also, where possible, radiators should be fitted below windows to help reduce window condensation and therefore dampness. Double glazing, loft insulation and draught proofing will help to reduce the amount of heat that is lost from your home in general. Installing insulation will help to keep the temperature of the surfaces inside your property at a higher level and reduce the temperature gradient that causes condensation. Ventilation: the Irish building regulations 2009 state that “The aim should be to provide adequate ventilation while limiting energy use and avoiding occupant discomfort ….. It is important as buildings become more airtight that adequate ventilation is maintained …. Extract ventilation may be provided by natural means (e.g. passive stack ventilation) or by mechanical means (e.g. by an extract fan).” Installing energy efficient extractor fans in rooms that have high moisture content such as bathrooms and kitchens is an efficient method of reducing condensation. Trickle vents can be installed in the upper sash of your windows retrospectively or when new. These vents can be opened and closed to allow air flow around the window that has been otherwise sealed by draught proofing. Condensation between the two panes of a double-glazed unit: the seal has failed and you will need to get your window contractor to assess for upgrades. 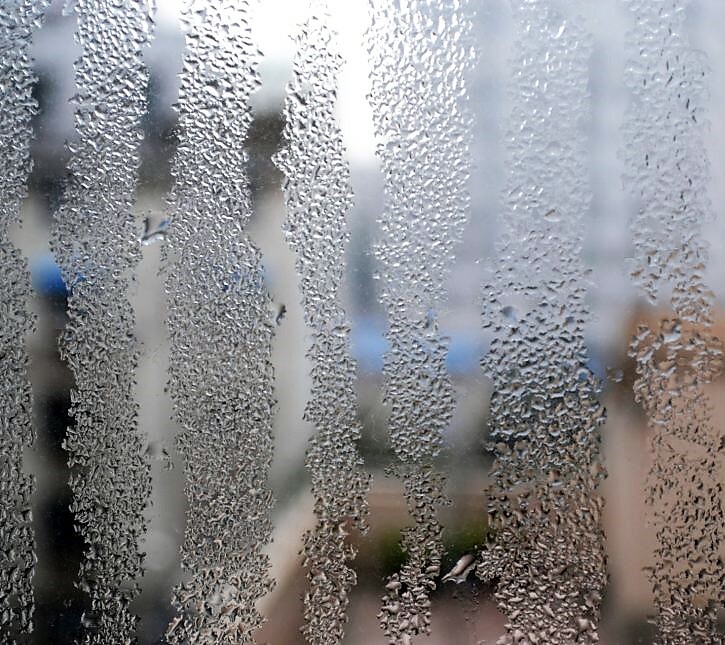 Condensation on the inside of the glass: the temperature of the glass is low – a combination of ventilation (to reduce moisture content in the air) and heating (including insulation, to raise the temperature of the glass) will help to reduce this and provide for a healthier home. In an older period property, condensation is most likely due to low temperatures indoors. Ventilation is generally not an issue here as the buildings were built to breathe, unless draught proofing has been fitted to seal the windows themselves, so heating near the windows and increasing the room temperature will help to reduce the window condensation.